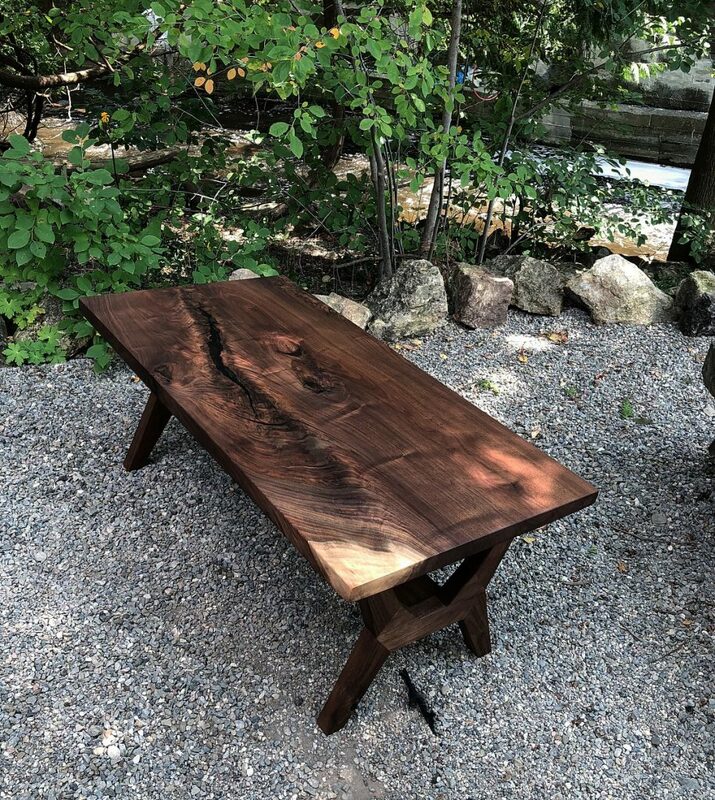 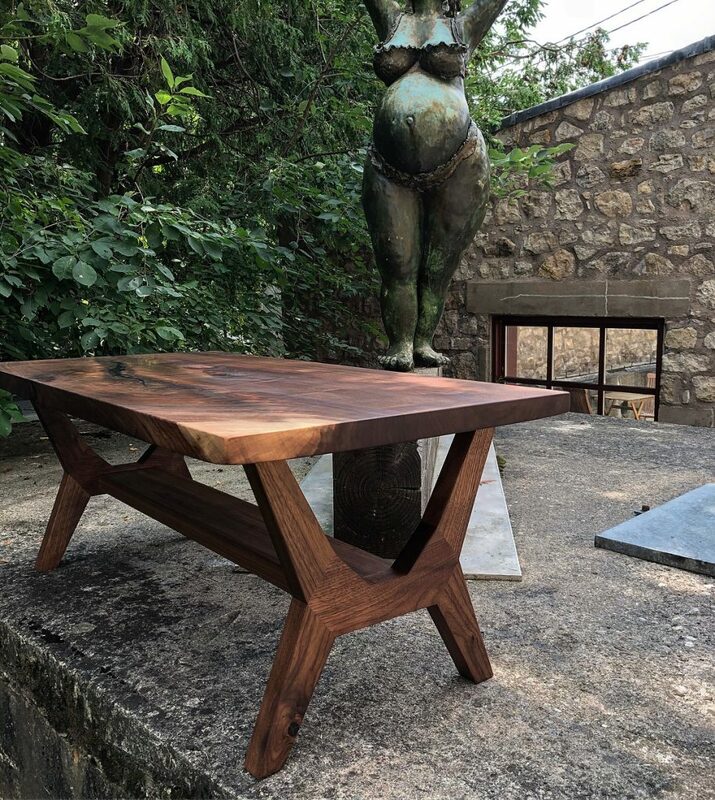 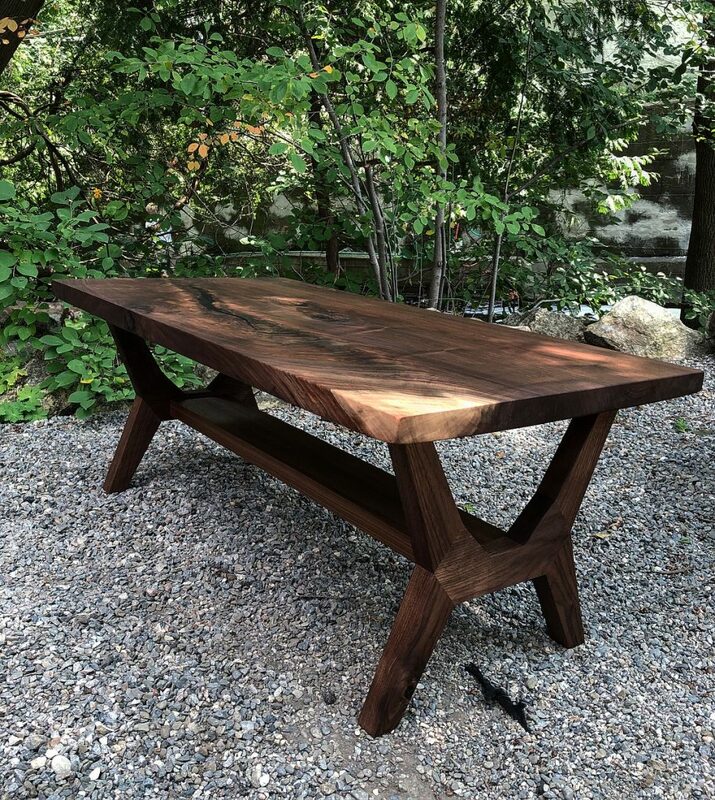 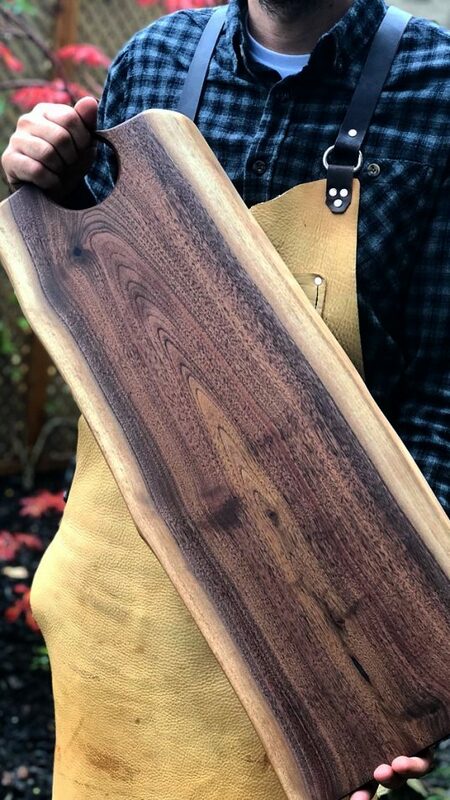 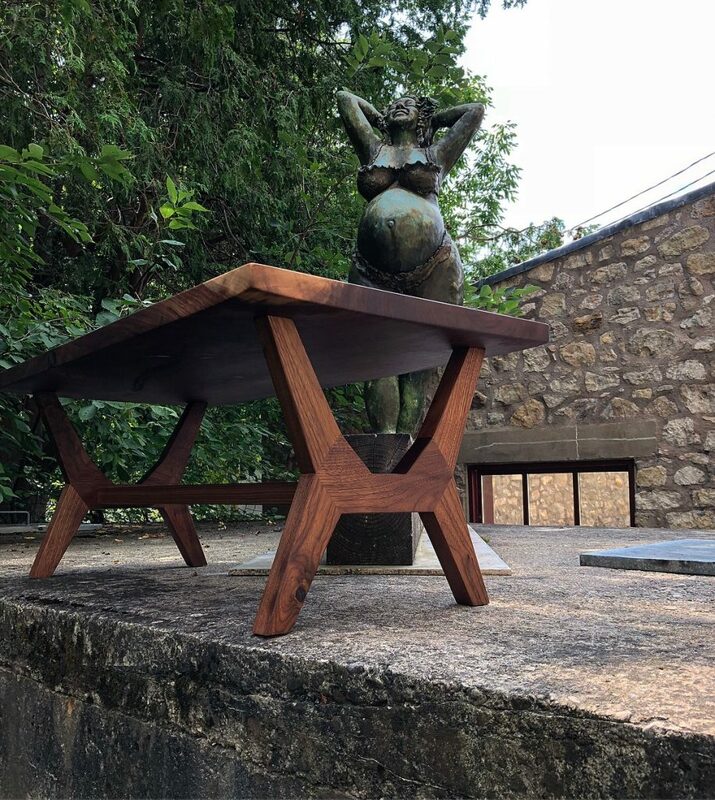 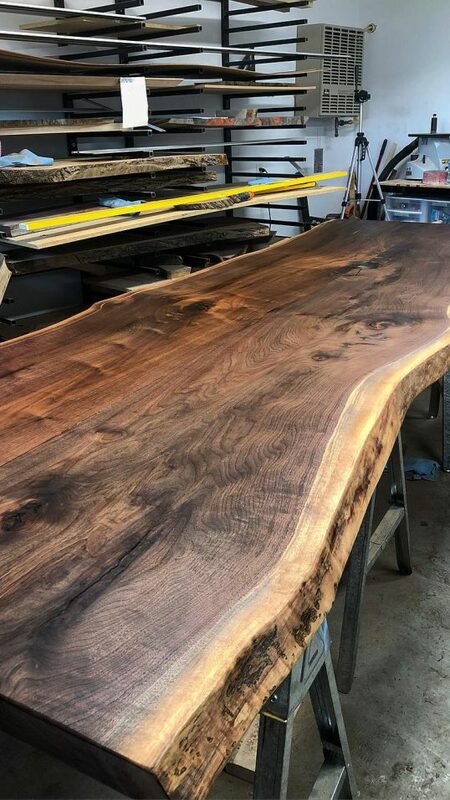 This walnut coffee table features incredible grain and figure. 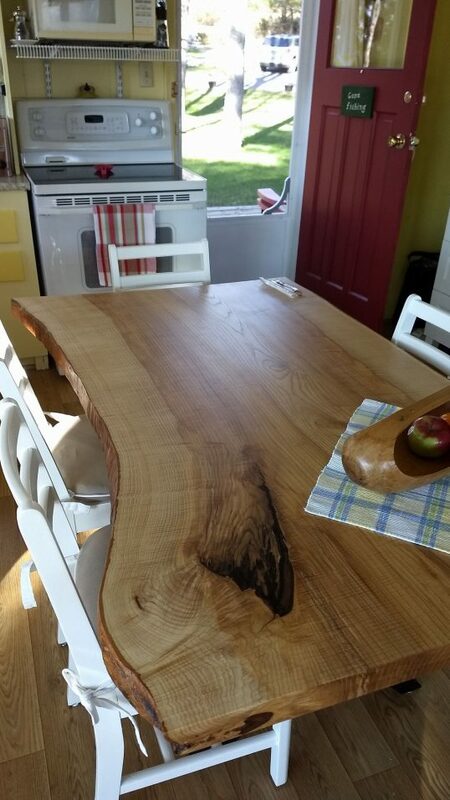 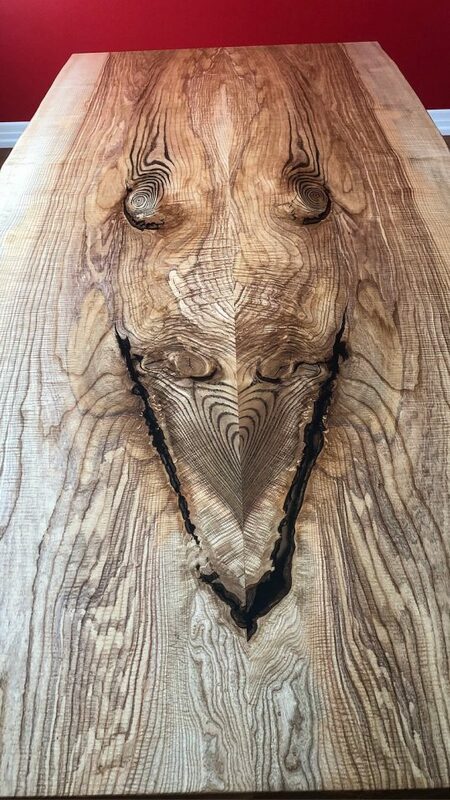 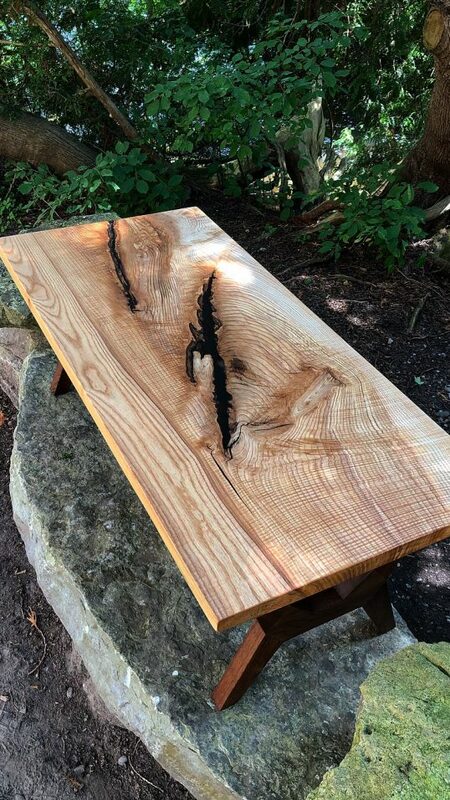 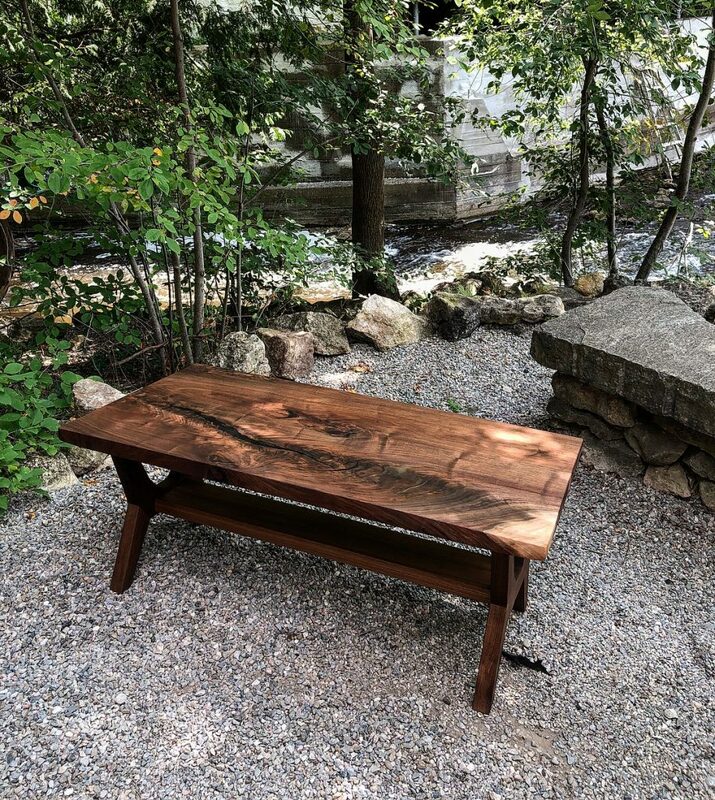 We source all out furniture from live edge lumber as this form of lumber has the most character. 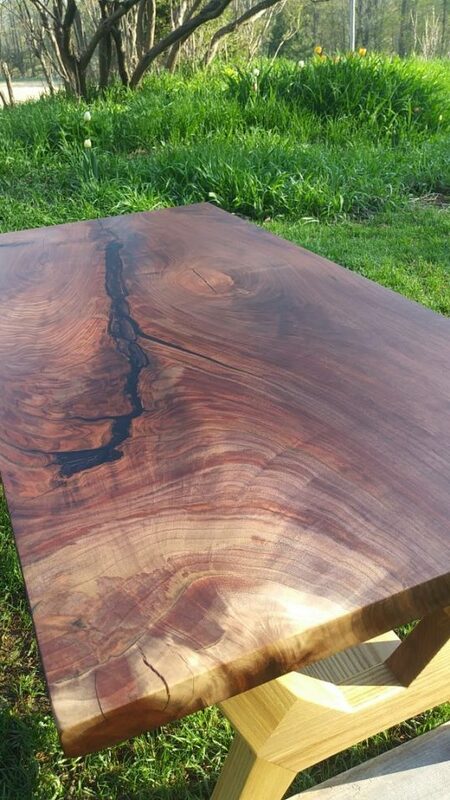 The top of this table boasts a beautiful back inclusion that is filled with clear epoxy. 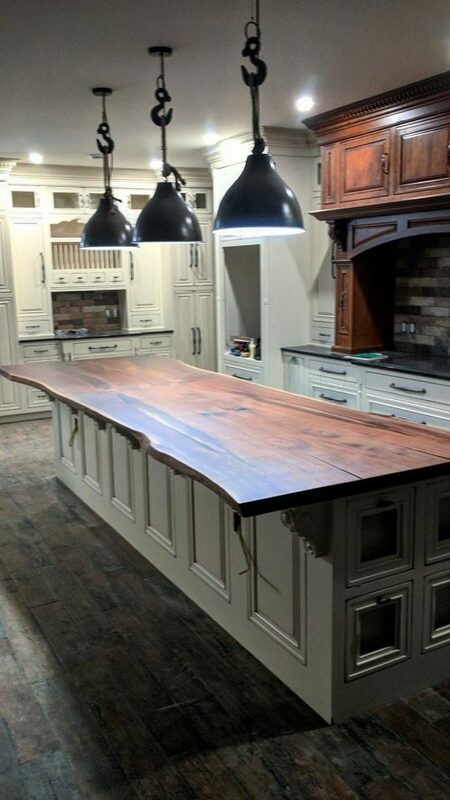 Contact us today for a quote on your next custom piece of furniture!